We’ve found that the settler’s bell works well, you just have to ring it a bunch of times. This has worked every time for Piper and Valentine, but not for Dogmeat. I’ll provide some guidelines below for Dogmeat as well. After a lot of trial and error, it seems that your companion is actually with you at times, but for some reason didn’t spawn. For Piper we have completed the requirements to romance her to get the “Lovers Embrace” perk after sleeping. This is great, because it helps to prove that she is in the city (or even traveling with us). 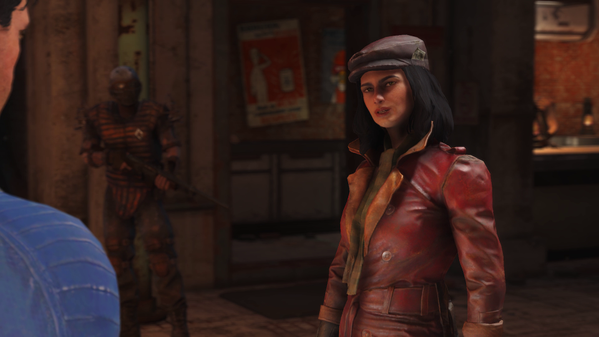 In this video, Tadradan had Piper in power armor and sent her to sanctuary to run some missions with Valentine, because let’s face it…end game is mostly building settlements and doing companion quests. So, after awhile, Tadradan sent Valentine back to sanctuary to run some other missions (doing things Valentine wouldn’t appreciate) and then went to sanctuary to find Piper or Valentine. After not being able to find either of the two companions, Tadradan checked to see that he didn’t have the “Lovers Embrace” perk and then went to sleep. Upon waking up, he got the “Lovers Embrace” perk. Walking around, he found the power suit that Piper was wearing (she can’t sleep with you in power armor) adding proof that she was there. Now, normally when you get the “Lovers Embrace” perk, the companion you have romanced is in the bed when you wake up. She wasn’t nor could she be found. This happens a lot, like seriously…way too often in this game. This method doesn’t always work every time for Dogmeat. For Dogmeat you may have to travel back and forth a few times and do the bell method again if you don’t see him in his Dog house. Make sure the city you sent Dogmeat to had ONE Doghouse, otherwise you may end up running around the city multiple times only to have to do everything all over again.